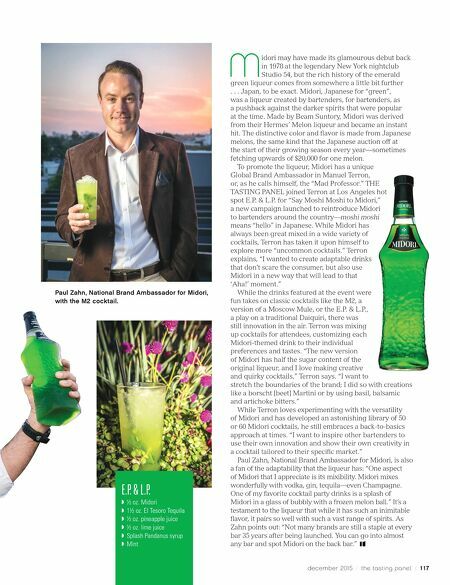 1 16 / the tasting panel / december 2015 LIQUEURS Manuel Terron, Global Brand Ambassador for Midori, mixes up bespoke cocktails at E.P. & L.P. in Los Angeles. 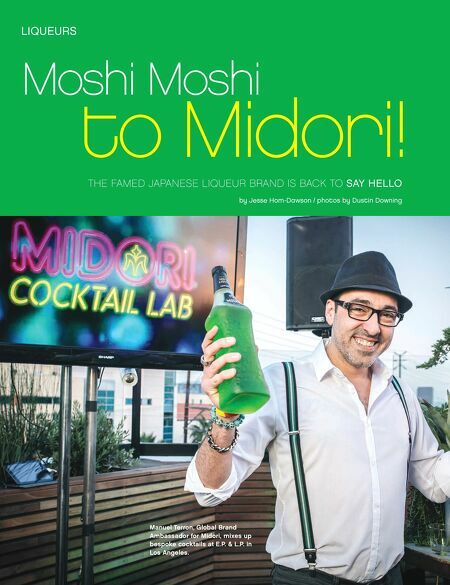 THE FAMED JAPANESE LIQUEUR BRAND IS BACK TO SAY HELLO by Jesse Hom-Dawson / photos by Dustin Downing Moshi Moshi to Midori!